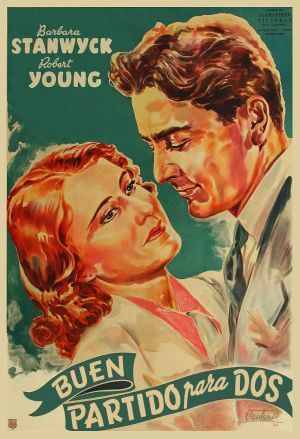 A model marries a struggling engineer; but he won’t let her keep her job, and they can’t pay the bills, while she is wooed by a wealthy drinker. Michael Martin (Gene Raymond) tells Paul Dodson (Ned Sparks) he knows of a better job, and they get fired. 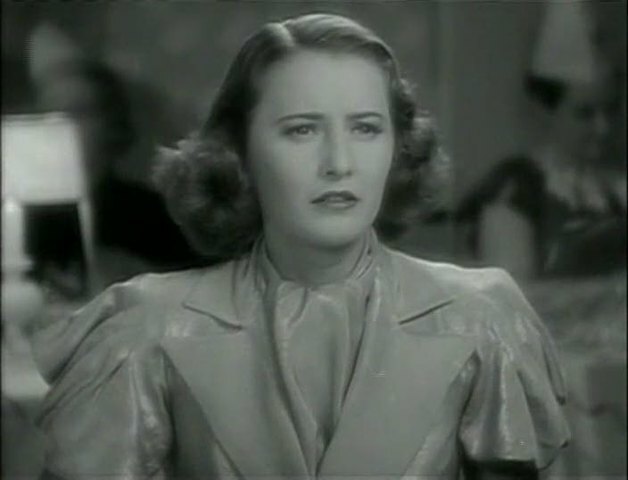 Michael asks modeling Carolyn (Barbara Stanwyck) to marry, but she wants to keep her job. After work they go dancing. Michael now earns $35 a week; but Carolyn makes $50. They get married during his lunch hour. Carolyn cries and quarrels with Michael. He hits an officer and is put in jail. In court the drunk Hugh McKenzie (Robert Young) is fined and meets Carolyn. She pleads for Michael, and he gets 30 days or $50. Hugh loans them the money. Michael’s electricity is off. Hugh is paid and reluctantly leaves. Michael carries Carolyn in. Carolyn looks at the bills. 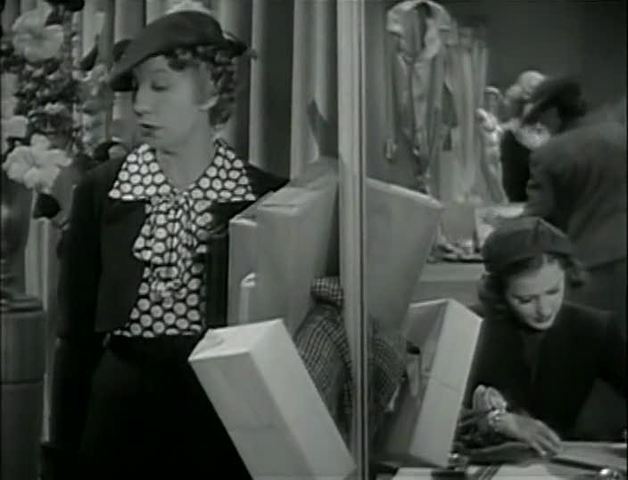 Paul and Michael go to work, and Carolyn and Paul’s wife Mattie (Helen Broderick) go shopping; Carolyn buys a dress for $149. Carolyn tells Michael she could get her job back, but he says she is “out of circulation.” They take in drunk Hugh, and the next day he vacuums. 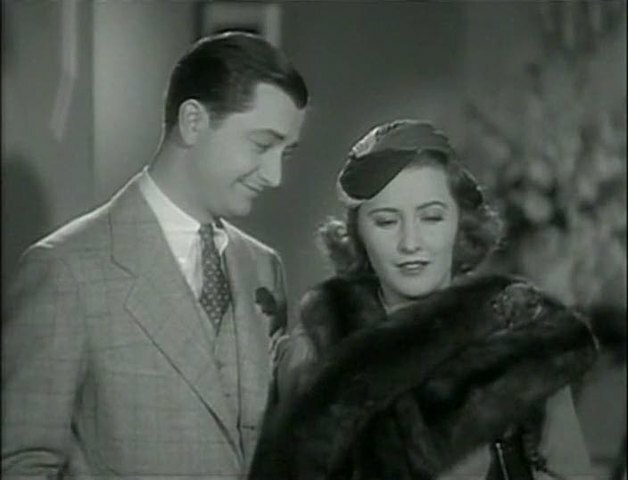 Carolyn pushes out a bill collector, and flowers arrive from a secret admirer, Hugh. Mr. Donovan (Billy Gilbert) repossesses the furniture. Michael on a telephone pole in the snow calls Carolyn to celebrate New Year on $50 he saved. Hugh brings in two large bottles. He, Carolyn, Mattie, and the furniture movers drink champagne until six. Michael and Paul wait past eight, and Carolyn and Mattie arrive drunk. At the nightclub Carolyn tells Michael she is going back to work, and they argue. At midnight Mattie kisses Paul; but Carolyn cries, as Michael walks home. Carolyn stops him on the stairs, and they kiss. The apartment is furnished, and they find a note from Hugh. The maid Mamie (Hattie McDaniel) says she works after marriage, and she doesn’t understand white men. Michael sees Mamie, who explains. Carolyn rushes home, pays Mamie, and sees Michael. He packs and says he hates lying; but Carolyn walks out first. Drunk Michael reads a divorce paper. He and Paul throw bricks in the McKenzie store windows. Hugh brings no charges. Michael wants to fight Hugh, who says he loves Carolyn. Hugh shows Carolyn his country house and says it could be hers; but she says no. Hugh’s father says that Carolyn sobered up Hugh. Michael is going to sail on a dangerous job, and Paul decides to go too; but when Mattie sees the insurance policy, she won’t let Paul go. 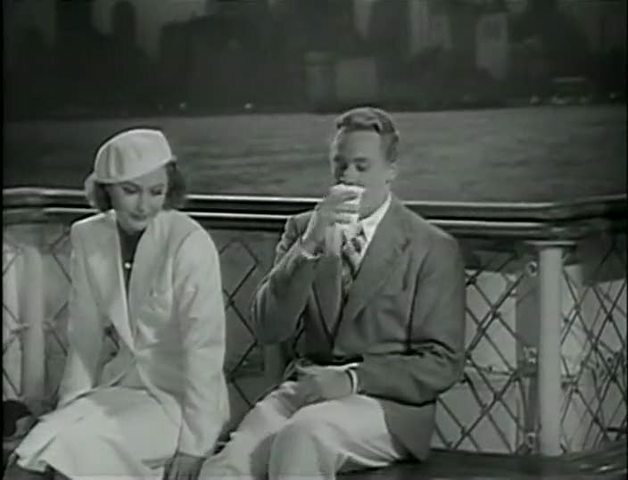 They find Carolyn and Hugh fishing and tell her of Michael’s risk. They go to the pier. Carolyn stops Michael and pleads. Hugh sends his chauffeur to start a fight with Michael, who is arrested. Carolyn explains; then she, Paul, and Mattie are arrested instead. Carolyn offers to quit her job and manage Michael’s home office, and he is happy. Amid Depression struggles this story explores a woman’s need and desire to work despite the social conditioning of her husband.